Hearthstone: Prepare yourself for the Year of the Raven and a brand new Druid hero – AiPT! Wave farewell to the Year of the Mammoth, and prepare to greet the Year of the Raven. A new Year means the usual shuffle of cards from Standard play to Wild, with the Whispers of the Old Gods, One Night in Karazhan and Mean Streets of Gadgetzan expansions’ cards making their way to the latter format. The following cards also make their way into Hearthstone‘s Hall of Fame, alongside such icons as Old Murk-Eye, Ragnaros the Firelord and Sylvanas Windrunner. No more second chances for Mages. Does this spell the end of Freeze Mage? Kingsbane Rogue has been a fun counter to current meta-defining decks like Spiteful Priest and Cube/Control Lock and Coldlight Oracle is a crucial component. Will the Elven Minstrel be enough to shoulder the burden in future Rogue decks? Molten Giant lumbers its way into the Hall of Fame and sees his mana-cost reverted to its original cost (from 25 to 20) to boot. So much for that Naga Sea Witch problem getting addressed. We’re working on a feature that will help you run a Hearthstone tournament from your own home or Fireside Gathering! You’ll be able to create a custom tournament and invite your friends–all from within the Hearthstone game client. To start, the feature will include matchmaking and checking decks, but we’ll continue to add new features and functionality over time. To obtain Lunara players must win 10 games of Hearthstone in Standard Ranked or Casual mode. What do you think of the latest batch of cards added to the Hall of Fame? What about Lunara, the newest Druid hero? 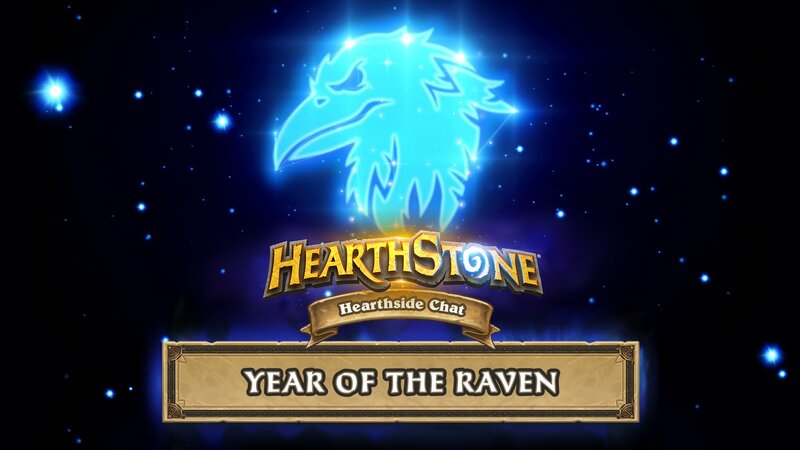 Are you ready for the Year of the Raven? Sound off in the comments.